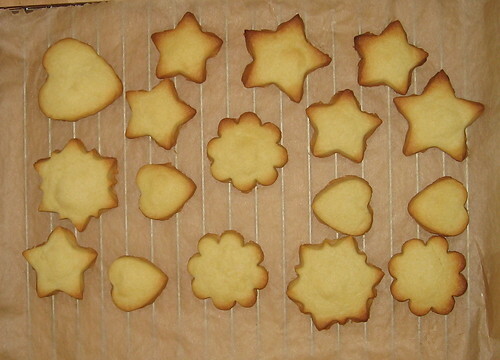 -- I actually use 4 cups flour (I made these yesterday and *paid attention*). 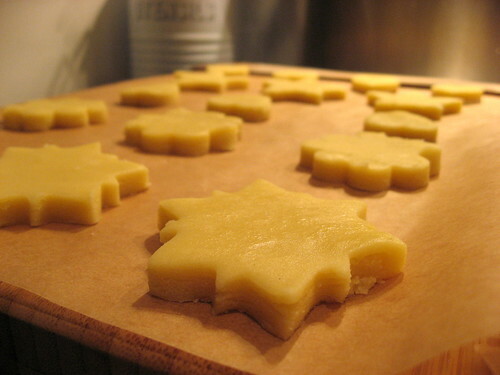 -- I chill the cookies on the pan before putting them in the oven. 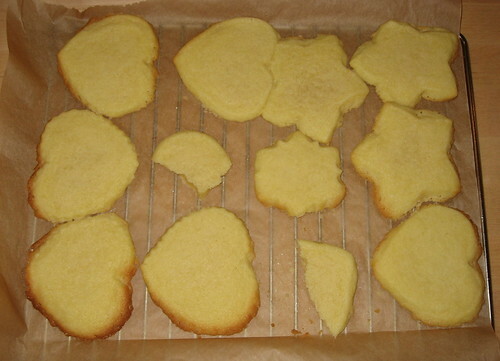 Both these points help the cookies keep their shape. The 4 c flour does not make it less yummy! 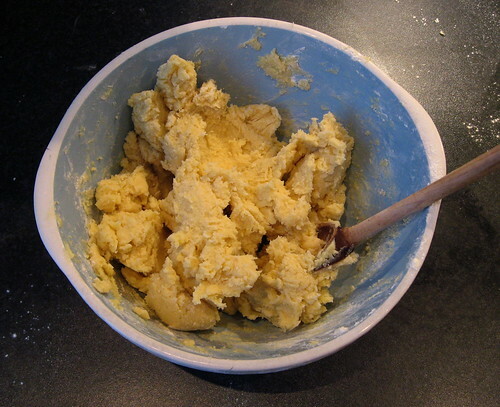 My family recipe uses 4 cups of flour, like your mom says, but omits the cornstarch. I've never tried chilling the dough, I just go from mixing it up and rolling it out straight into the oven. 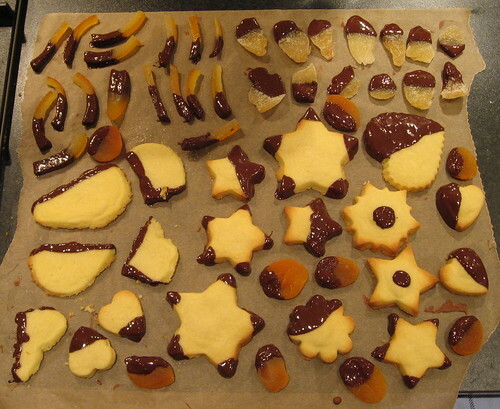 Our family tradition was to decorate the top of each cookie with a sliver of red or green marachino cherry. Now I use red and green sugar sprinkles instead, before they go into the oven. 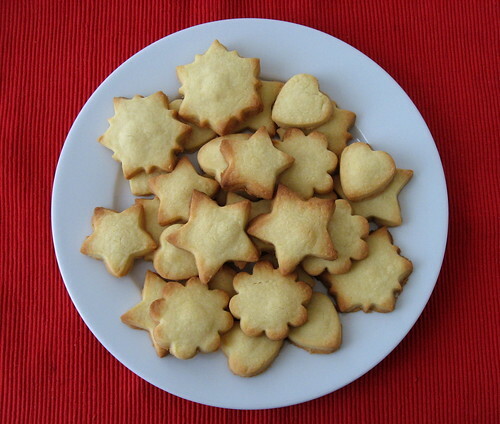 My tip: Pricking each cookie a few times with a fork stops the tops from bubbling.